Iowa Senator Chuck Grassley says he’s tired of waiting for E-P-A director Scott Pruitt to follow through on issues surrounding ethanol and wants him to take action or quit. 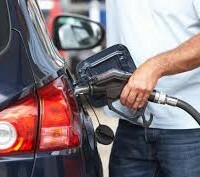 The Republican from New Hartford was asked during a conference call with reporters if he thought the E-P-A would stop giving ethanol waivers to large refineries. “Well they better — or I am going to be calling for Pruitt to resign — because I am done playing around with this,” Grassley says. Grassley and others recently met with President Donald Trump on the ethanol issue and he says the E-P-A needs to follow through on the support the president is giving the issue. He says the president made a commitment in January in 2016 in speaking with the Iowa Renewable Fuels Association when he said the E-P-A should ensure that the blend levels of ethanol match the statutory levels set by the R-F-S. Grassley says the E-P-A administrator needs to follow through with the commitment. “So I’m sick and tired of messing around with this any more,” Grassley says. “Trump was elected with an agenda. Pruitt was not elected and it’s Pruitt’s job to carry out the Trump agenda.” Grassley says continuing to give renewable fuel waivers to refiners will undermine the year-round use of the E-15 gasoline mix.